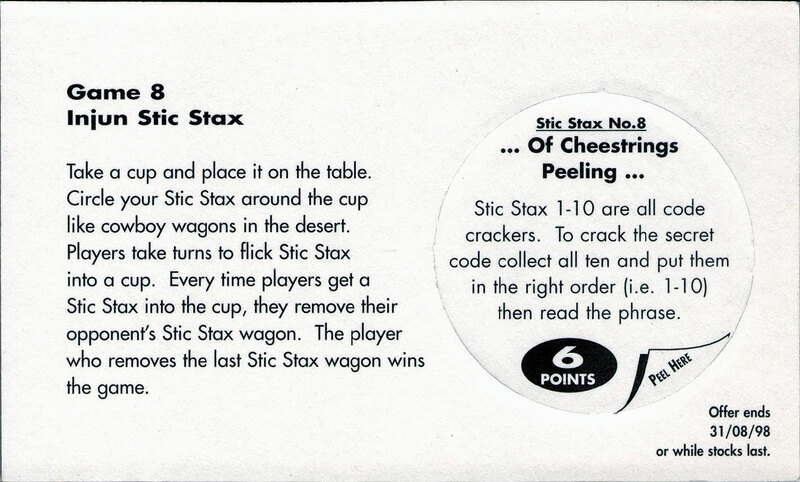 Info:These were given away with packs of Cheestrings cheese snacks sold for a limited time in 1998. 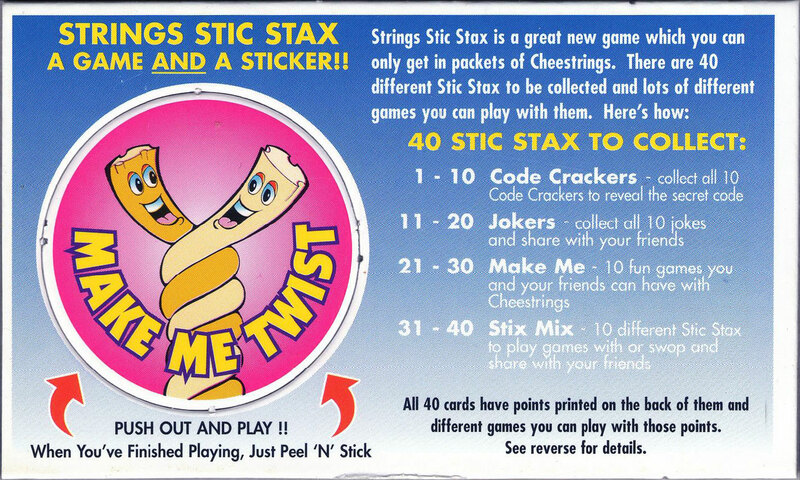 There was one card inserted in each pack of Cheestrings. 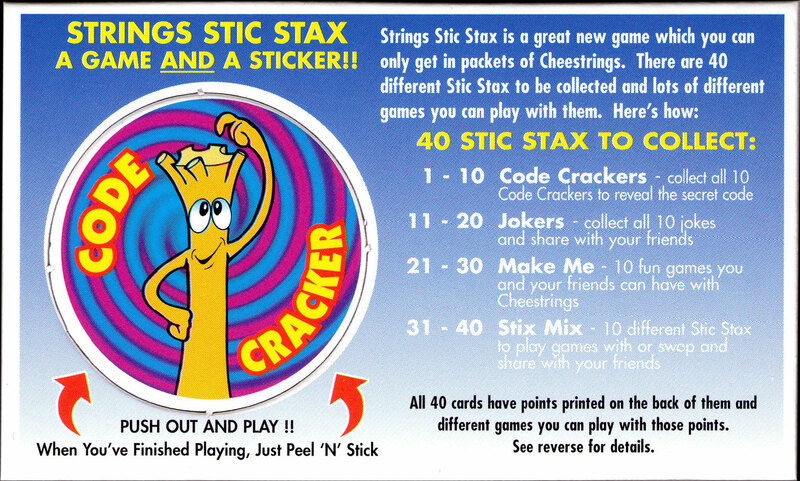 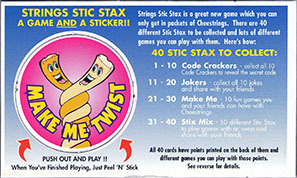 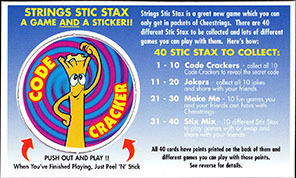 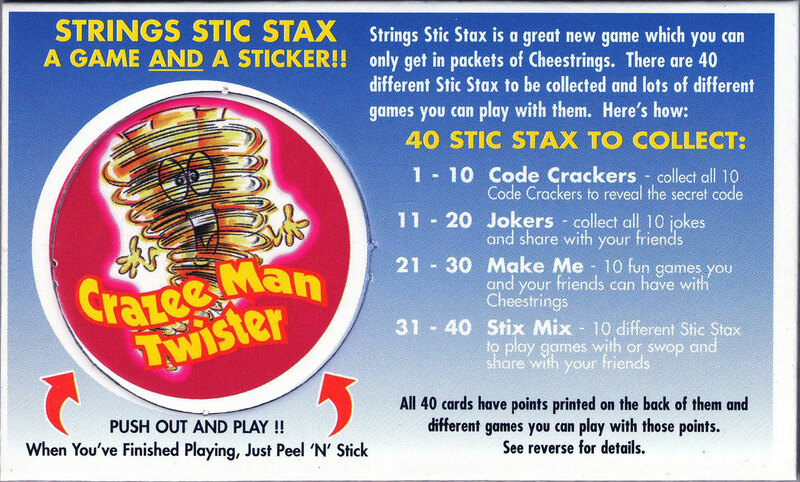 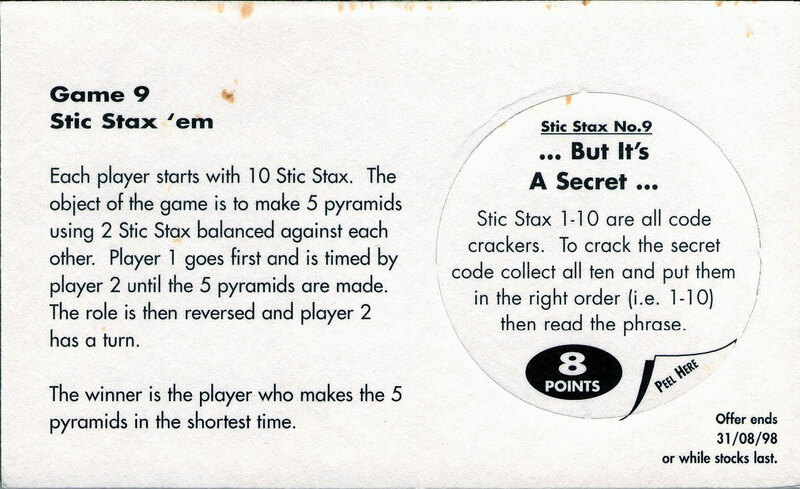 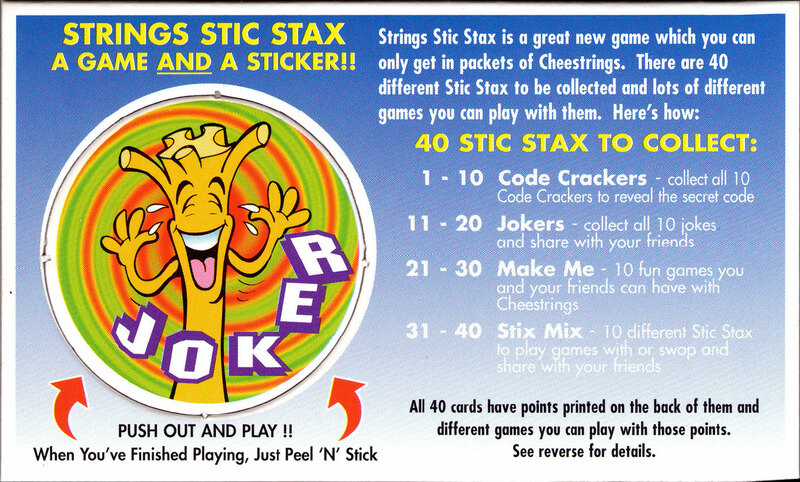 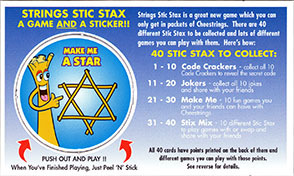 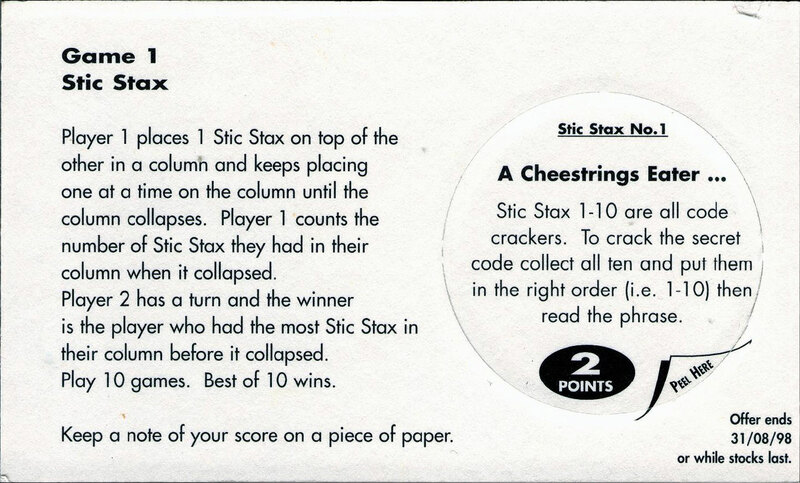 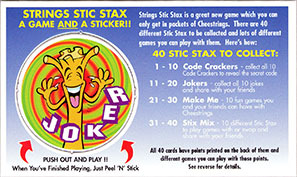 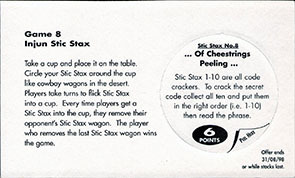 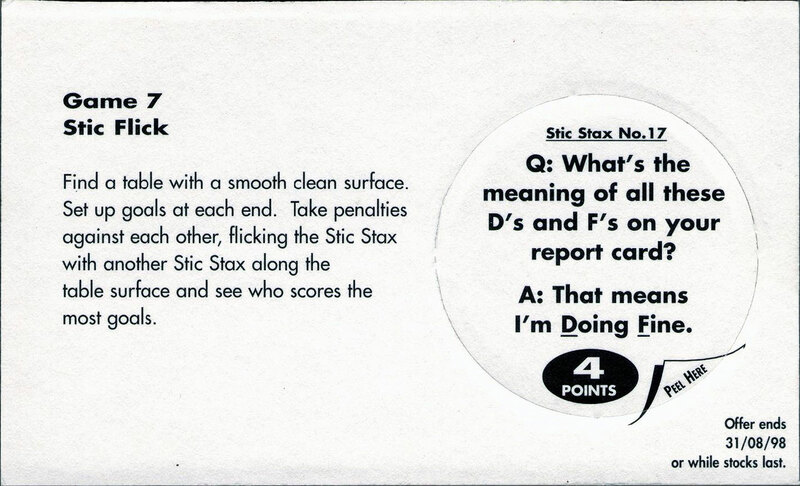 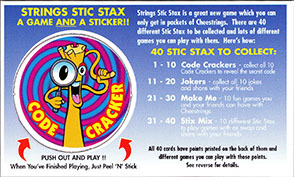 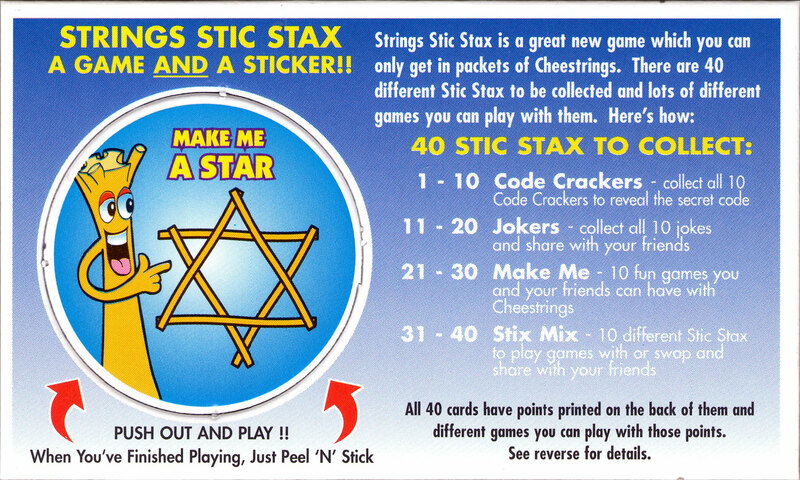 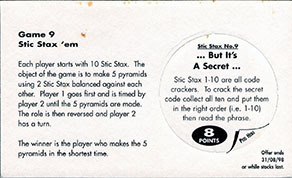 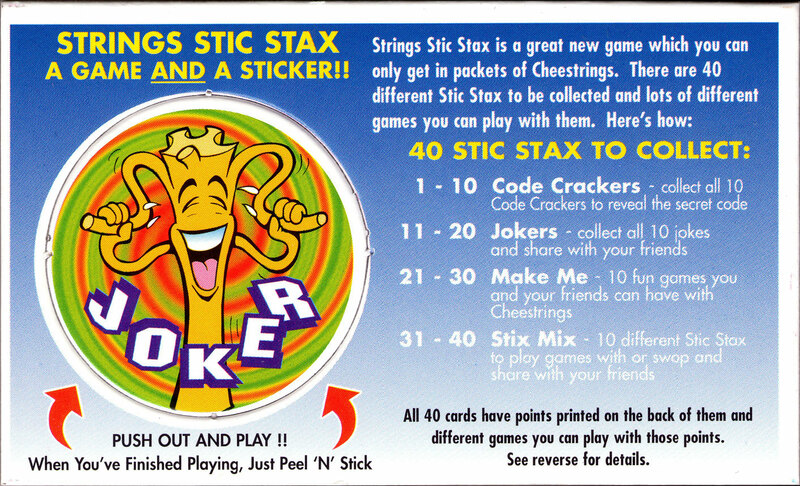 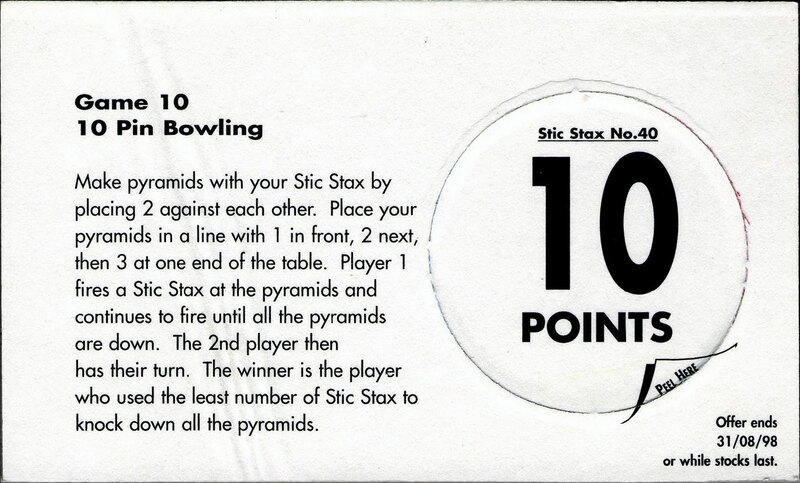 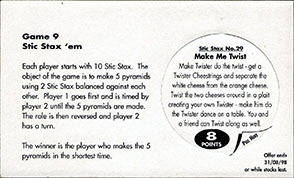 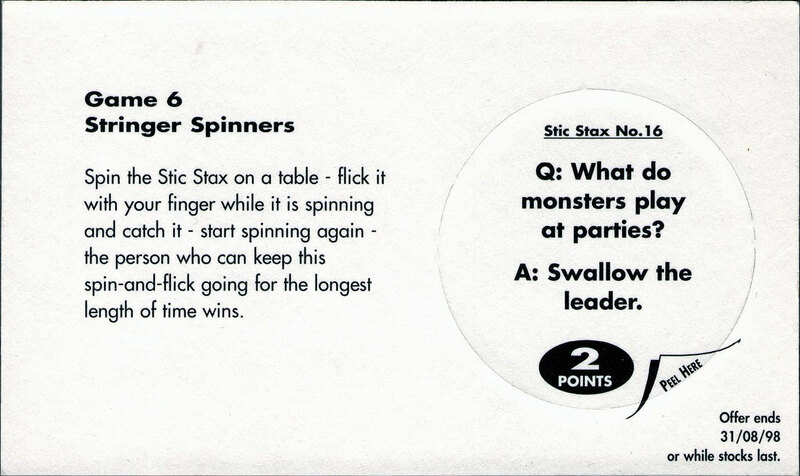 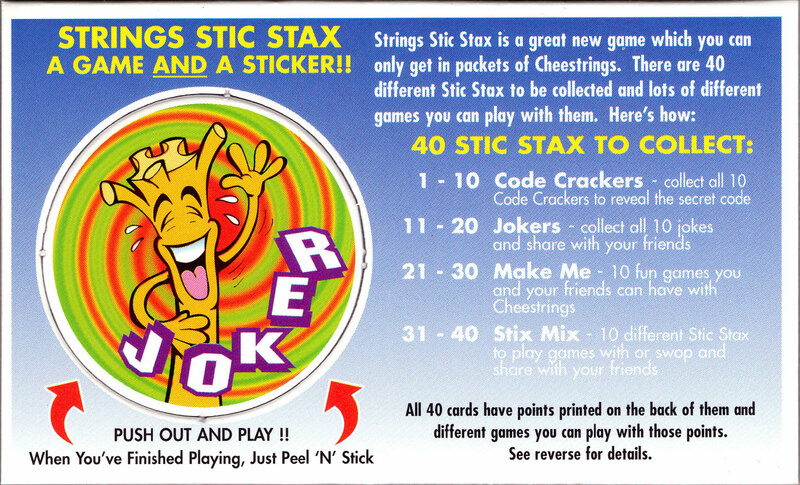 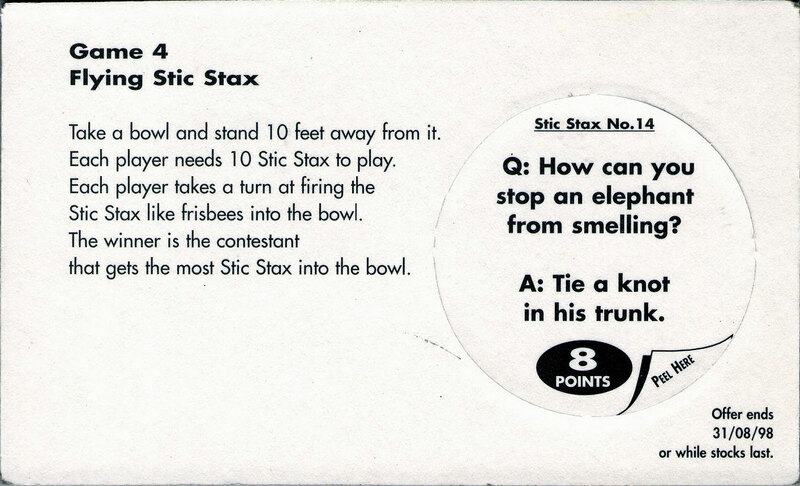 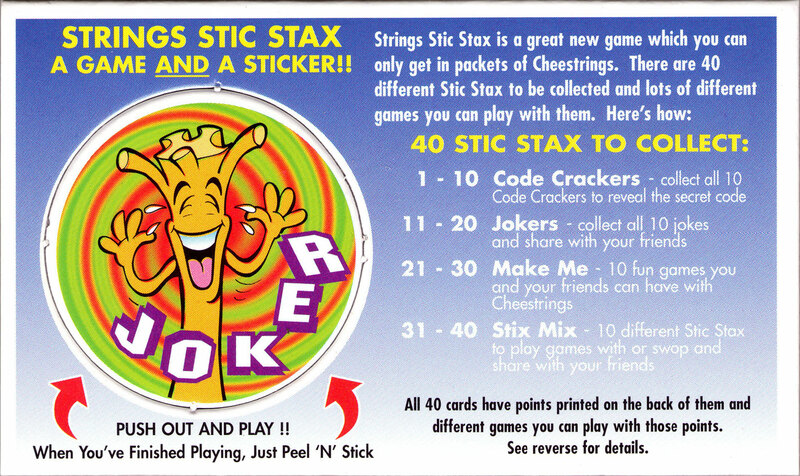 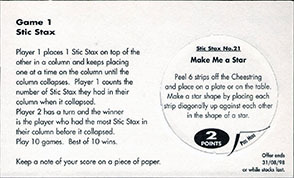 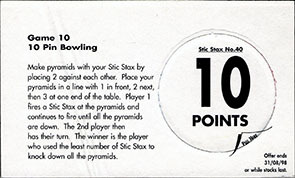 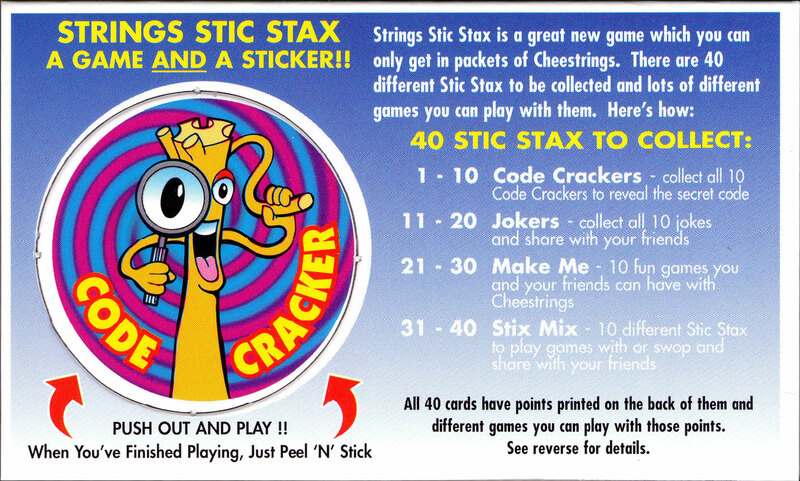 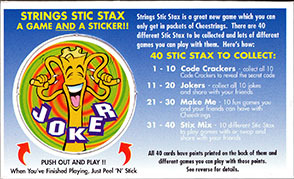 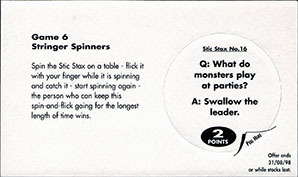 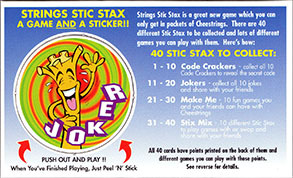 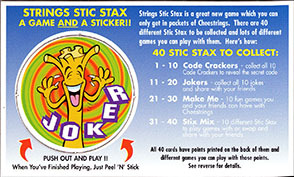 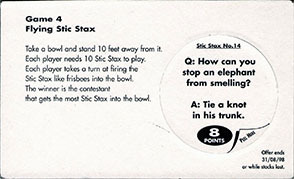 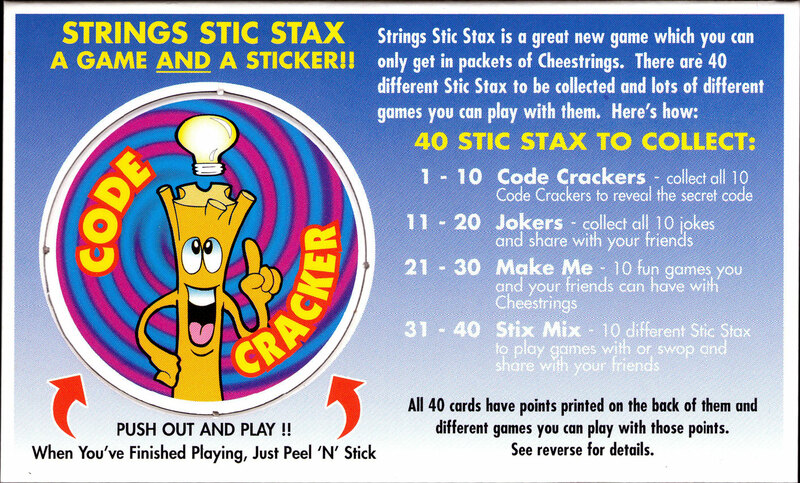 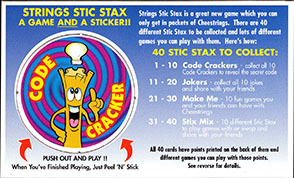 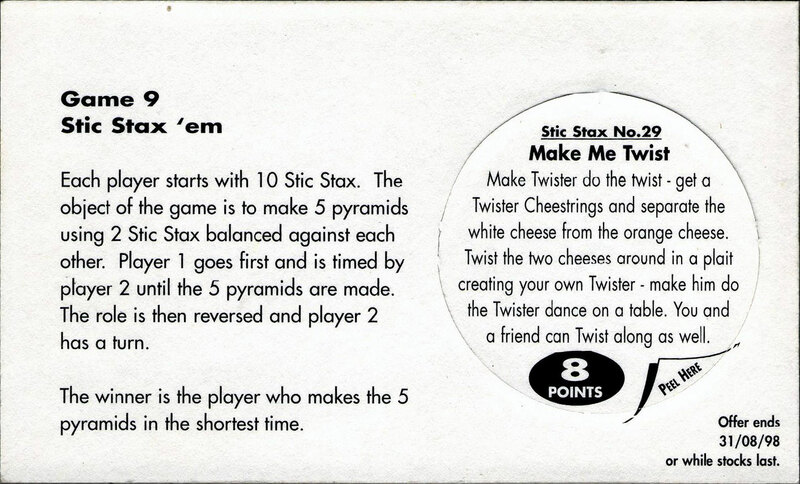 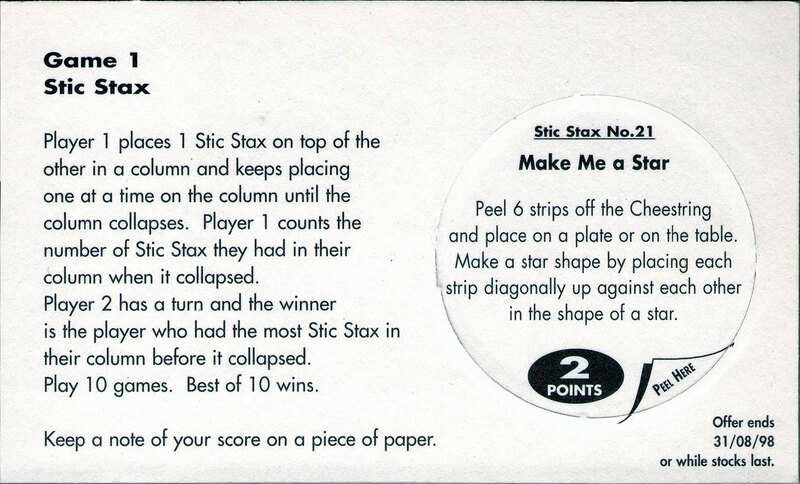 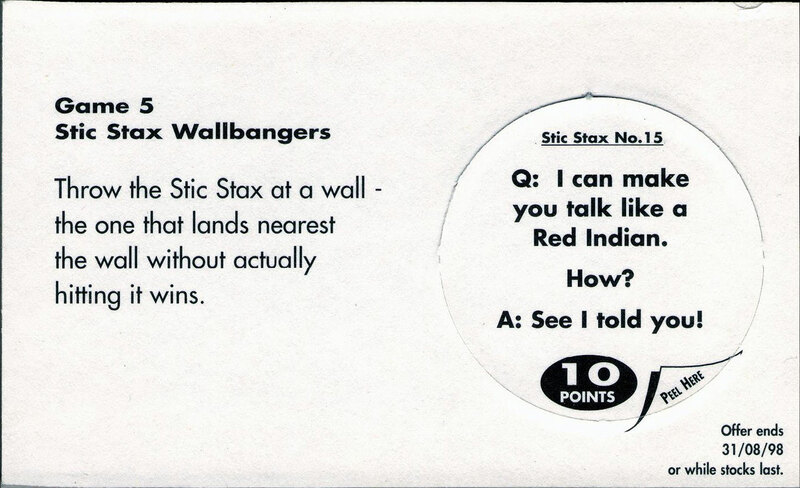 The card contains a pop-out Stic Stax (pog) and details of a game that can be played using the Stic Stax. 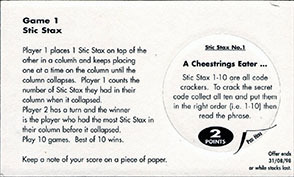 There are 40 Stic Stax in the full set, but quite a limited number were produced and so they are difficult to find.